Daily Audiogasm approved, out now on beatport! Time for another audiogasm, courtesy of Cash Cash and Vicetone, enjoy! Weekend Warriors – Free Music to start your weekend! Triarchy’s Free Bootleg – Booyah Hands Up! Have no fear, Audiogasmic Monday Mixes are here! Cedric Gervais new track is “Hashtag” Terrible! San Francisco’s premier music festival “Outside Lands” returns to Golden Gate Park August 8-10 with a well balanced line up including Tiesto, Ducksauce, Macklemore & Ryan Lewis, The Killers, Chromeo, Kanye West, Holy Ghost, Cut Copy and Lykke Li just to name a few. While we focus on music this festival is focused on not just music but also Food, Wine, Beer and Art, where do we sign up? 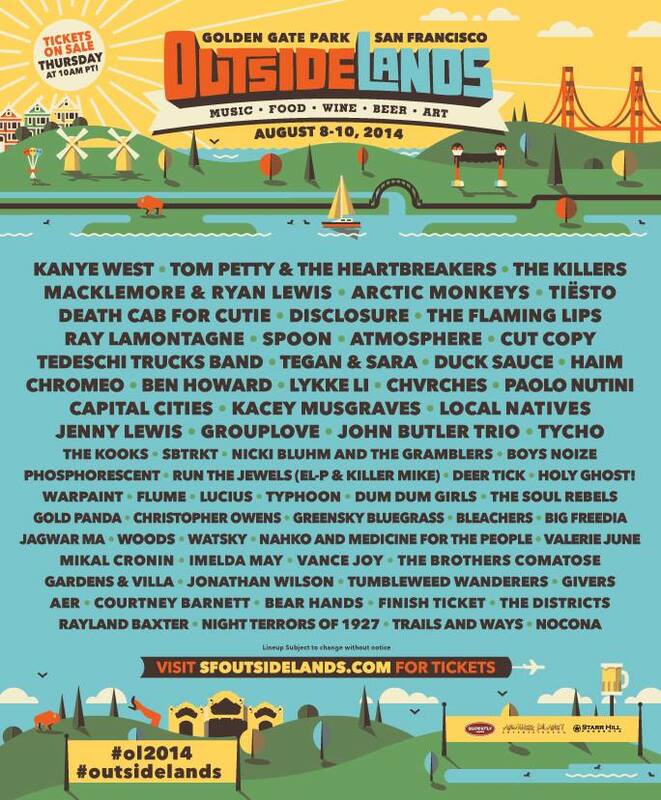 Advance Tickets for Outside Lands go on sale April 10th (Click Here). Check out their flyer below for the full line up. Also the website has some cool features which include their beer and wine lands line up and your own custom DJ Dome. Well done Outside Lands, well done! Producer, SET DJ, Tank Top Bandit, Cat Lover and Pizza Enthusiast.